Vegan Outreach supporters, Vijay and Rashmi Baliga, and their daughter, Devika, recently treated me to a delicious homemade breakfast at their beautiful home in Redmond, WA. As part of the meal, they served banana muffins. One bite and I instantly knew I had to share this recipe with our readers. Thank you, Rashmi and Devika, for sharing this truly delicious recipe! 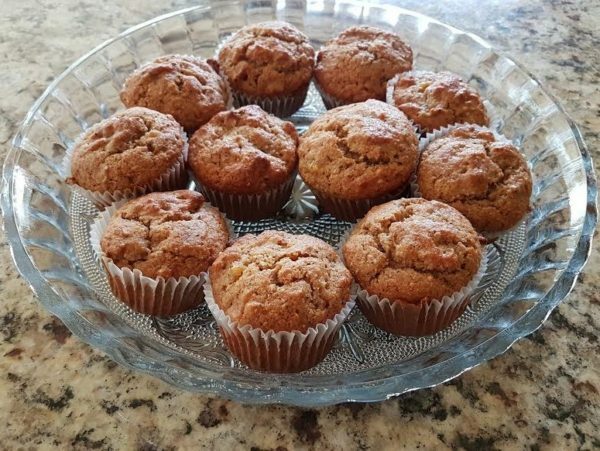 I’m sure there will be many vegans making themselves these banana muffins in the near future and enjoying them as much as I did! *Almond flour is blanched (skins removed, beige in color), whereas Almond Meal can be blanched or unblanched (skins not removed, more brown in color). 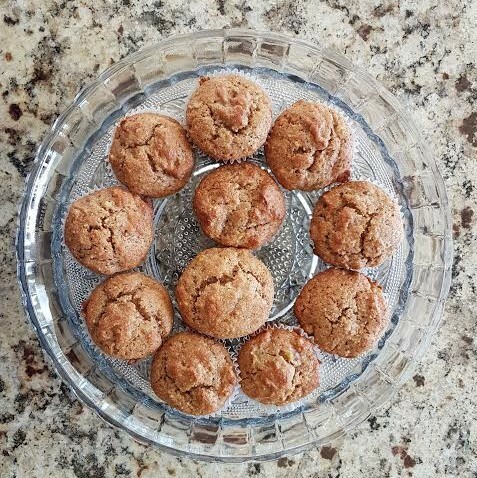 The almond skin gives the muffins a better taste and color. Combine soymilk and vinegar to make vegan “buttermilk.” Let sit for five minutes. Mix oil, vanilla, and mashed bananas together. Then add buttermilk to banana mixture. Add the remaining ingredients, except the walnuts, to the banana/buttermilk mixture. Add walnuts after the dry and wet ingredients are well combined. Add mixture to muffin baking tin(s) that contain paper baking tin liners. The size of the baking tin(s) used will determine the muffin size and number. Bake for 15-20 minutes. Enjoy! You can add any other type of nut you’d like in place of or in addition to the walnuts. Add any other goodies you desire, such as white chocolate chips. ← Lala’s Wine Bar + Pizzeria Adds Vegan Pizza!